Waiting for CA Intermediate Result for May 2019? Then you are landed on the correct page. Here we are providing all the relevant information related to your result along with the procedure to check the same. ICAI has released the CA Intermediate result Nov 2018 on 8th February 2019 around 5 pm. You can check the procedure of viewing the CA Intermediate Result 2019 from this page. Students looking for CA IPCC May 2019 (Old Course) Result click here. Students who desire to check their result on their Email Address shall register their Email ID with the icaiexam.icai.org. The registration for the same when starts will be notified. 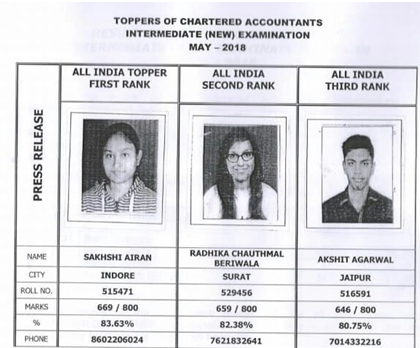 ICAI will publish the CA Intermediate result along with the merit list of candidates who score 55% and above marks as well as placed their name in the top 50 students. You can download your result from the ICAI official website icai.nic.in. Although, you can download your result from the link given at this page also. 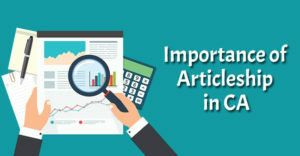 The links will get active as soon as ICAI declare the result for CA Intermediate May 2019. CA Intermediate is the part of the new curriculum implemented by ICAI and this was the first time when ICAI organized CA Intermediate result, hence the result is totally unexpected. Here, through this article, we will guide you how you can check your CA Intermediate May 2019 result from the various sources. Merit List of CA Intermediate May 2019 to be announced soon! Students who scored at least 40% marks in each individual subject and 50% in aggregate of all the subjects will be declared pass in CA Intermediate exams and get qualified for the CA Final registration. But the students who could not qualify this exam can check the CA Intermediate Application form for May 2019 Examination. We have also given such verification and revalidation procedure in this article. Click on the given link to download your result. www.icai.nic.in. This link will take you directly to the result page. Now, click on the CA Intermediate result May 2019. After that, you have to submit your Roll No. and Registration Number or PIN. Your result will get display on the desktop. Take it to print for future reference. What if you missed your Roll No. In case you have missed your Roll No. 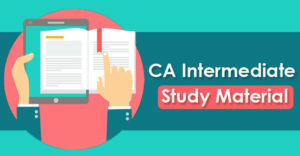 of CA Intermediate May 2019 recover the same from the ICAI official website where you have to enter your Registration Number or Bar Code Number and PIN in order to download CA Intermediate admit card. At the time of result, mainly students face the problem of server getting down and resultant students had to suffer a lot. Hence, ICAI has arranged the facility to check your result through SMS and E-Mail. In which you have to send a message to ICAI and they will send your result on your phone. XXXXXX is your 6 digit roll no. and send it to 58888. In addition to SMS, ICAI has also made the arrangements where you can check your result through Email. In order to check your result through Email, you have to register your Email Id at the ICAI Portal providing your Name and Roll Number. The students who register themselves for the result at Email need not check their result online or wait until the server works properly. They will get their result on their mail id as soon as result get declared by ICAI. You must have already know that ICAI has ceased the revaluation of Answer sheets which means now revaluation of answer sheets is not permitted under the Chartered Accountants Regulation, 1988. 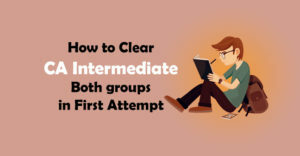 Hence, if you are unsatisfied with your CA Intermediate result you can go for either verification of answer sheets or Inspection of such certified copies. If any of your questions remain unchecked either by your mistake or by examiner’s mistake, it will get checked in the verification process. If the examiner has mistakenly done the totaling error either in any question or on the cover page, it will be checked in the Verification process. Students can apply for Verification of Marks up to one month from the declaration of CA Intermediate result. ICAI has also made a provision that in case your result gets revalued after the verification procedure, ICAI will refund your fee. No Physical application for the CA Intermediate verification will be accepted by ICAI. You have to make an application through the online mode only. Click on the given link to apply for the verification of answer books. Here you have to log in to your account maintained with the ICAI. After login, you will get an option ’verification May 2019’. Click on such a button. After filing such credentials, you need to sign this application form. The application should be scanned in a jpg format where the size limit should not exceed 8-200 kb. Fill the remaining credentials asked in the form along with the subject which needs to be verified and upload your handwritten request. Now you have to make the payment of verification fee which cost Rs 100/- per paper and Rs 400 /- for all the papers either a single group or both groups. The payment can be made through Debit card/ Credit card/ Mastercard/ Visa/ Maestro. The verification application may take 1- 2 months for processing. Till such time, you can check the application status of your verification request on the ICAI portal logging into your account. In case you want to review your answer sheet or not satisfied with the checking then you can go for inspection of certified copies. Again, here also the physical application is not permitted. In case, you are applying for Inspection you need not apply for verification at the same time because ICAI suo moto carried out verification before sending your copies for inspection. Click here www.icaiexam.icai.org to land on the page from where you can apply for inspection of certified copies. From this dashboard, you have to log in to your account using your user id and password. Now, click on the inspection May 2019 and there you need to fill the credential asking in the form along with the subjects you need to get an inspection. Here also, you have to upload a scanned copy of your handwritten request duly signed. Write the application in the same medium from which you belongs. After filing the application click on the proceed button which will take you to the payment gateway where you can make the payment of inspection fee through Net Banking, Debit / Credit card (Master / Visa/ Maestro/ Rupay). The application fee for inspection is Rs 500/- per copy. As soon as the payment is successful, the system will automatically generate the confirmation page. Take its screenshot because it will work as an acknowledgment. You will get the certified copies for inspection within 30 days from the receipt of your Application by ICAI. Even if inspection results into the change of your result, the fee will not be refunded. Hope you find this article useful, for more such information keeps in tune with us. Now You can Download IPCC last 10 Attempts Question Papers with Solutions from the given link and also Intermediate May 2018 Question Papers with Suggested Answers form the given link.